Oral History: 2009, 27 pages. 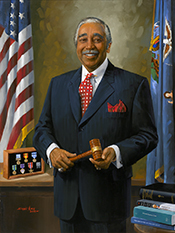 An oral history interview with Congressman Charles Rangel conducted by Steve Rowland on April 6, 2009. Oral History: 2003, amount unknown. An oral history interview of Charles Rangel conducted on July 22, 2003.